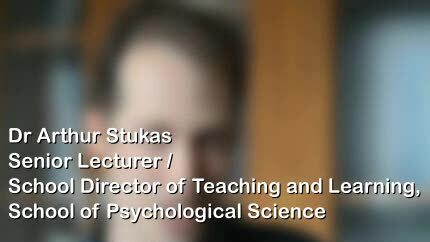 Why study psychology at La Trobe? Both of our psychology courses give you the opportunity to develop knowledge and skills needed for careers such as clinical psychology, management, research, marketing, teaching, human resources and more. We offer a range of psychology electives and the flexibility for you to do a range of subjects in other disciplines. You will attend weekly practical classes and undertake small group work. We also offer regular guest lectures by expert researchers and practitioners. You'll have access to outstanding neuroscience laboratory facilities, Australia's first Autism Research Centre and learn from psychologists working in our Psychology Clinic, which offers services to the general public. To find out more about studying Psychology at La Trobe, visit the Department of Psychology & Counselling website. La Trobe designs its courses with your future career in mind and partners with a range of professional organisations for accreditation and registration. Refer to the detail for each course below to see what professional registration and membership options exist. See Become a Psychologist for more information about psychology, the professional accreditation process and study requirements. If you complete a Bachelor of Psychological Science, you can work in a range of organisations, including research institutes, hospitals, schools, human resources, marketing and advertising, recruitment, counselling and statistics. "Fundamentally, psychology is about understanding people, why they think, feel and behave the way they do."